Without doubt this has been the most difficult book I have ever written. My other books are on a variety of different subjects, ranging from a history of the labour movement in Northern Ireland to insurgency in South Yemen. 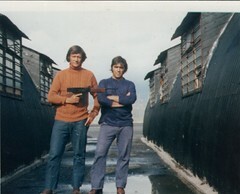 Although challenging to write in their own way, they did not pose the same unique problems as UVF: Behind the Mask. Professional historians are used to scrutinising the past by way of documents and interviews with eyewitnesses. They are supposed to triangulate these kinds of sources with what is already known about the past. Sometimes this means challenging their own preconceptions and beliefs. In the case of the UVF, this meant adjusting my own previous analysis on the group because some of the facts had changed as new evidence came to light. Interestingly, as I neared the end of my project, these new facts augmented most of my previous analysis on the UVF, which was completed well over a decade ago. More seriously, however, was the changing context within which I now had to conduct my research. It became difficult to check facts because many people suddenly become reluctant to talk to researchers, even those with long-standing ties to the local community. As readers might well be aware, a few years ago researchers compiling oral history testimonies for Boston College’s Belfast Project had run into trouble due to attempts by the authorities to gain access to interview transcripts. Those involved in the Belfast Project found out to their cost that interviewees who had disclosed specific details about their involvement in political violence had inadvertently exposed themselves to future legal investigations. It has since emerged that participants in the project had been given assurances that their testimonies would not be made public until after their deaths. Unfortunately this disclaimer did not withstand a so-called ‘fishing expedition’ by the authorities who wanted access to the interviews. Having been involved in a similar oral history project at INCORE in the Ulster University a decade ago, I was well-aware of the legal, security and ethical challenges posed by this kind of research. However, I was puzzled by the furore over the Boston College Belfast Project. For one thing, journalists and academics had always talked to paramilitaries, even when the ‘long war’ was on and this was accepted as a legitimate way of bringing to public attention what these groups were doing and why. As a result, I made several public interventions in defence of historians’ use of oral history as an appropriate method for collecting information from the past. I remain convinced that the furore over the Belfast Project had more to do with a battle within republicanism over narratives about the past than it did about the efficacy of the method of recording peoples’ recollections about the past itself. Regardless of my own personal views on the episode, the result of the fall-out led to a huge chilling effect for researchers working on political violence in Northern Ireland. In order to progress with my own research, I took soundings from legal experts. It seemed that the only way I could get people to talk in confidence about their involvement in loyalist paramilitarism was if I made it clear that they should not incriminate themselves in specific incidents. I knew from my conversations with several people that the police have a duty to investigate where there is reason to believe a crime has been committed. Nevertheless, talking generally about peoples’ views on violence – as so many academics and journalists have done – can be very instructive. This is perhaps best demonstrated by the work of respected researcher Dr Gareth Mulvenna whose own well-received book Tartan Gangs and Paramilitaries prized open our understanding of why young men became involved in conflict in the 1970s. My own book, however, focuses on the UVF as an organisation and, specifically, on three aspects of the group’s long and bloody campaign. The first aspect is the motivations of its members. 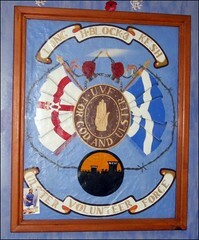 Why did people join the UVF? How were they recruited and why did they do the things that they did? When I looked around the working class areas where I grew up, I saw UVF men who were window cleaners, bricklayers, warehouse workers, businessmen, taxi drivers, local government representatives, labourers, and so on. It struck me then that most of those people who joined the UVF were fairly ordinary and unremarkable individuals, despite the popular tabloid image of them as tattooed, knuckle-dragging Neanderthals. 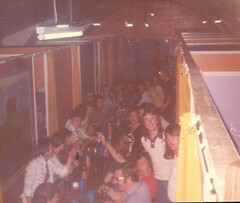 That is not to say that loyalism doesn’t have such people in its ranks but they have always been a minority. This struck a chord with me for I recall a chance encounter with Billy Moore, perhaps one of the most infamous members of the Shankill Butchers gang, in November 2000. I was walking through Rathcoole estate at the time with someone who stopped to have a chat with him. It wasn’t until we were walking away that the person I was with said, “do you know who that is?” I replied that I didn’t. “That was one of the Shankill Butchers,” he said. The thought of a close encounter with a mass murderer sent a shiver down my spine but the whole experience left me somewhat confused. 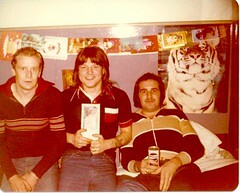 I had read Martin Dillon’s book The Shankill Butchers five years earlier and the Billy Moore of 2000 looked nothing like the Billy Moore of 1977. If anything, he just looked like any other middle-aged man. He looked like an ‘ordinary guy’. For me, it has always been difficult to square the red top media caricature of loyalist paramilitaries with those men and women I have come into contact with over the years. The same could be said of republicans too. I’ve met and interviewed scores of former paramilitaries, most of whom are reasonably inconspicuous. Many are disarmingly charming, a few have a keen interest in reading books and talking about history, while others are family men. It is for this reason that I really wanted to dig deeper into why and how these ordinary men and women could have become involved in organised violence. How did they become involved in paramilitary activity? What drove them to commit such violent acts? These were the sorts of questions I knew my readers would be interested in finding out. The second aspect that intrigued me about the UVF was the nature of their armed campaign. 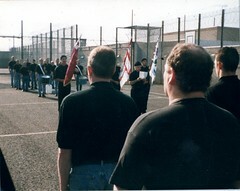 There is a considerable amount already online about the technical side of the loyalist paramilitary campaign, including, in recent years, compiled by Iain Turner at the Balaclava Street blog. As an academic specialising in terrorism and insurgency, I have been principally concerned to explain the UVF’s strategy as well as their tactics. How and why the group used violence to accomplish the goals it set for itself? 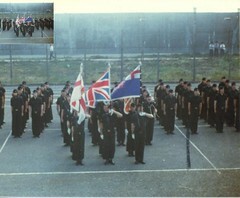 It is not widely known that the UVF’s principal goal of maintaining the connection between Great Britain and Northern Ireland was accomplished. 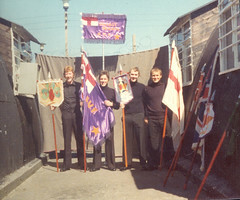 Unlike the Provisional IRA, the UVF is the only terror group to have achieved its objective of ensuring that the link was maintained between Northern Ireland and Great Britain. This was done at an awful cost. The UVF and their allies in the Red Hand Commando killed 564 people and wounded many thousands more, some who whom were left with life-changing injuries. It is important that researchers do not forget the horrendous consequences of illegal armed groups, like the UVF, who have taken the law into their own hands. For that reason, I felt it was important to detail the impact and consequences of UVF violence on victims and survivors. This was perhaps one of the most challenging aspects of writing the book. To paraphrase the German theologian, pastor and author Dietrich Bonhoeffer, a man hanged by the Nazis at Flossenberg in 1945, those of us who lived on the ‘troubles’ front-line were the ‘silent witnesses of evil deeds’. One of my first memories is of a troubles-related killing. When I was three years old I was travelling in the family car up through the Bawnmore area from the Shore Road towards our home in Rathcoole when I caught a glimpse of the body of a young man lying prone on the ground in front of some shops. The police officers attending the scene had covered his body with a blanket. I now believe it was twenty-six-year-old David Nocher, a member of the Worker’s Party, who was shot dead by the UVF as he cleaned a shop window on Mill Road in October 1983. It is a memory that will live with me for the rest of my life. Although the vast majority of the UVF’s victims were Catholic civilians, it is often forgotten that they murdered a significant number of Protestant civilians too. The internecine feuding between the UVF and UFF and LVF ripped the heart out of my community in 2000-01. Men were chased down in the street and shot in cold blood. It is difficult to put into words the electrified atmosphere of those days. In researching this book, I interviewed the PSNI’s Senior Investigating Officer who had responsibility for leading enquiries into the loyalist feud. 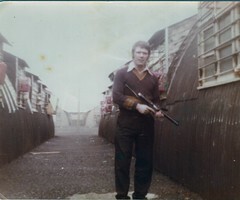 Once the PSNI released details that a horse in a nearby city farm had been shot while the LVF were pumping bullets into thirty-five-year-old UVF member Martin ‘Chin’ Taylor, the confidential hotline rang off the hook. Those who called in were ringing up to inquire about the welfare of the horse. They were uninterested about the man who had been shot dead. Such was the contempt most people felt for loyalist paramilitaries at the time. I am under no illusions that many people feel nothing but contempt and antipathy towards loyalist paramilitaries today. Yet, I believe that it is essential that those of us writing about militancy in some of the most marginalised and deprived areas in the UK ask difficult questions about the legacy of that violence. What do those who picked up a gun or a bomb in anger feel about their actions in hindsight? How might we move forward into the future together, given the hurt and pain inflicted on a great many people? It is my belief that these questions demand urgent answers, particularly since loyalist paramilitaries still have not made the transition to a fully civilianised role. UVF: Behind the Mask is a genuine attempt to pose and answer key questions about this transition. It is a challenging read and I know that some people will disagree with many of my findings. However, it was written with an honesty and integrity that I like to think has characterised all of my work as an academic historian. It is also written from the point of view of someone who believes that the best way to move on from the toxic legacy of the past is to adopt the mantra of ‘never again’.